How do the Kara, a small population residing on the eastern bank of the Omo River in southern Ethiopia, manage to be neither annexed nor exterminated by any of the larger groups that surround them? Through the theoretical lens of rhetoric, this book offers an interactionalist analysis of how the Kara negotiate ethnic and non-ethnic differences among themselves, the relations with their various neighbors, and eventually their integration in the Ethiopian state. The model of the “Wheel of Autonomy” captures the interplay of distinction, agency and autonomy that drives these dynamics and offers an innovative perspective on social relations. 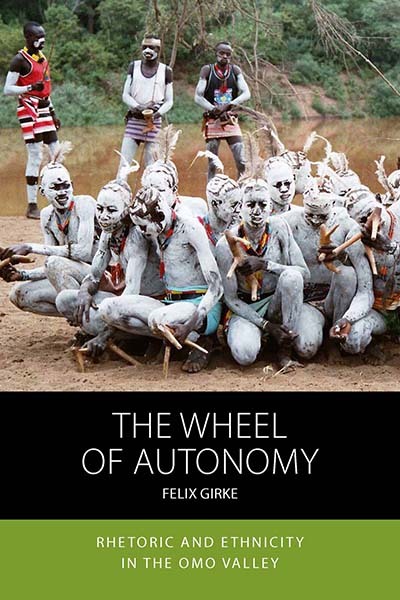 Felix Girke is a social/cultural anthropologist and a post-doctoral researcher at the University of Konstanz, Germany. His publications include the edited volumes Ethiopian Images of Self and Other (UVHW, 2014) and The Rhetorical Emergence of Culture (Berghahn Books, 2011). He currently studies the politics of cultural heritage in Myanmar. Introduction: How Do They Do It?